The students in Albania will have a university campus with 11 new buildings that will serve also as dormitories, reading rooms and modern environments to welcome not only students from the Albania but also foreign students within the Erasmus exchanges. The head of the Municipality of Tirana, Erion Veliaj, said that in addition to the reconstruction of the existing buildings, it is foreseen the construction of 11 new buildings and other modern comfortable spaces. "What's on the new campus is about first, with the addition of 11 other buildings in the "Student City" in Tirana. Some buildings are beyond repairability, and one for example, which has been identified as irreparable, will be build from the begining, but in total we will have 11 new buildings, which we do not want to be used only by students here in Albania, but from those who come with Erasmus programs," he said. 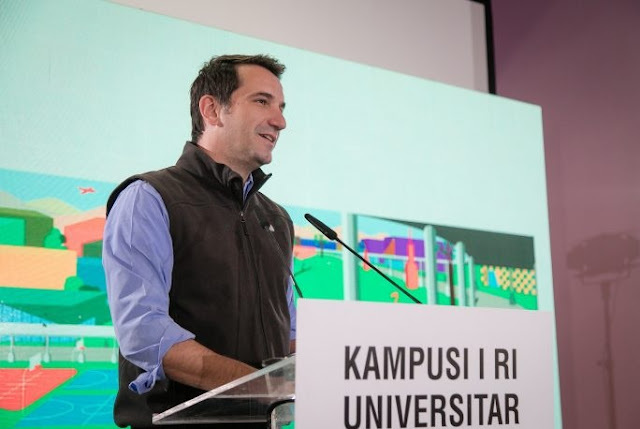 Veliaj said, "We plan to build a mega-library for the Student City". As with the kindergartens, the Municipality of Tirana is implementing the "adopt a dormitory" scheme, to create better conditions for students. The head of the Municipality of Tirana underlined that during these transition years there are about 14-15 thousand square meters of the "Student City" occupied by politicians. "I cannot be indifferent when I see that a large part of the occupation has been by politicians, ministers, presidents, people who today are competing for leading positions in political parties but today have on their mortgage the theft in the "Student City". Certainly this is also a political one, but I believe that at the end of the day it is important the result and the result will be with the students, the result will be that the student properties will be returned to students at any cost at any price", said it.